ABKCO Films presents a brand new cut, meticulously restored and fully-realized version of this first-ever, legendary, but never released film. Shot during a quick tour of Ireland just weeks after (I Can t Get No) Satisfaction hit # 1 on the charts, The Rolling Stones Charlie is my Darling - Ireland 1965 is an intimate, behind-the-scenes diary of life on the road with the young Stones. 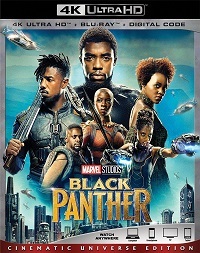 It features the first professionally filmed concert performances of the band and documents the early frenzy of their fans and the riots the band s appearances inspired. The band is shown traveling through the Irish countryside by train; dashing from cabs to cramped, basement dressing rooms through screaming hordes of fans. Motel rooms host impromptu songwriting sessions and familiar classics are heard in their infancy as riff and lyric are united. Charlie is my Darling is the invaluable frame that captures the spark about to combust into The Greatest Rock and Roll Band in the World. 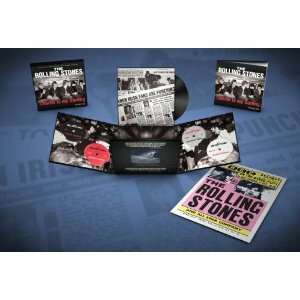 The Rolling Stones Charlie is my Darling - Ireland 1965 Super Deluxe Box Set includes both DVD and Blu-ray discs that incorporate the new 2012 version of the film as well as the director s cut and producer s cut, plus significant unseen additional performance and other footage shot in Dublin and Belfast in September of 1965, bonus content, two audio CDs, one of which is the film s soundtrack album and the other a compilation of 13 live recordings the band made over the course of their 1965 UK tour. A 10 inch vinyl record of the live material is also part of the package, as well as a replica poster heralding the September 4, 1965 date they played in Belfast. The Super Deluxe box is housed in an ingeniously designed luxurious soft touch package, each featuring one of over 200 Limited Edition numbered and enlarged cells randomly inserted from the film. 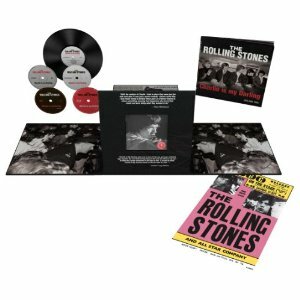 There is also a stunning 42 page Collector s Edition hardcover book that includes 14 never before seen, and painstakingly restored exclusive photographs, including the key art, of the band from the Irish Photo Archive/Lensmen Photo Archive as well as color photos taken by Marc Sharatt, the Stones tour photographer. Reprints of vintage newspaper and magazine articles from the UK and Irish press that offer accounts of the dates and attendant mayhem are included as are essays from American rock journalist and Rolling Stone Magazine staffer David Fricke and GRAMMY and Academy Award winning Irish singer/songwriter/actor Glen Hansard. A featured recollection from Reverend Donor Macneice, who was recently located living in Thailand and whose attendance at the '65 Belfast show nearly cost him his job after he was spotted on the local news is also part of the package.